Embrace the supernatural in a whole new world full of magic, mystery and mischief. Create witches, vampires, fairies or werewolves right from the beginning. 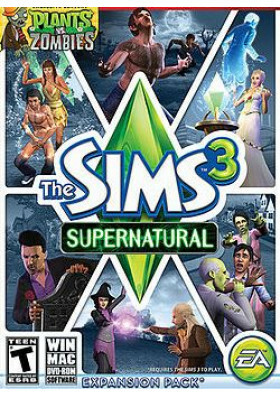 Each supernatural Sim has strange new traits and abilities that add humor and challenges to their lives and the world around them. Use your wand to cast spells or collect ingredients and mix dozens of elixirs that enhance gameplay. 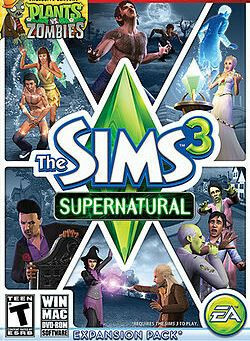 You can turn Sims into zombies or give your Sim the golden touch. Share your enchanted brews with any friends who have The Sims 3. Explore the all-new town of Moonlight Falls, where your Sims’ special powers are heightened by the lunar cycle—and surprises lurk around every corner.